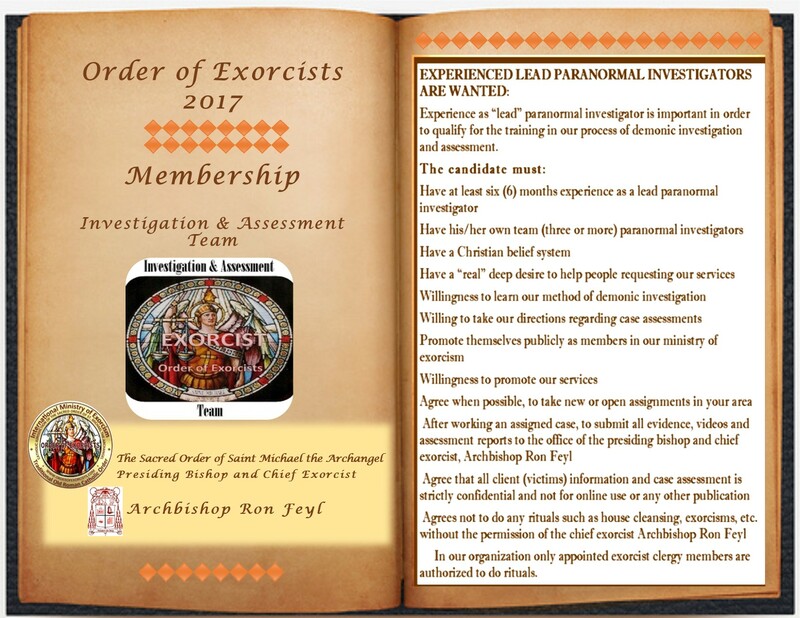 Members of the Order are servants of our Lord Jesus Christ, where trained lead exorcist investigators do demonic investigation and case assessments and appointed clergy exorcists perform the rite of exorcism, with the archbishop’s approval. There has been an increasing number of requests for demonic investigation, case assessment and rituals for exorcism. 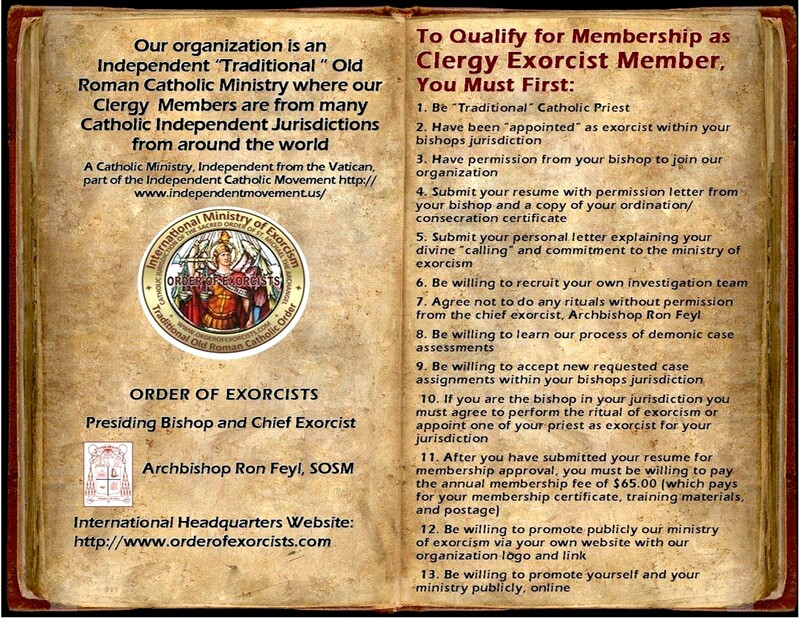 To be approved for membership you must submit your resume showing your experience as lead paranormal investigator or clergy member who has been appointed as exorcist in their local bishops jurisdiction. We recruit members via the internet, from around the world, after they have submitted their resume for membership approval. Experience as “lead” paranormal investigator is important in order to qualify for the training in our process of demonic investigation and assessment. 13. 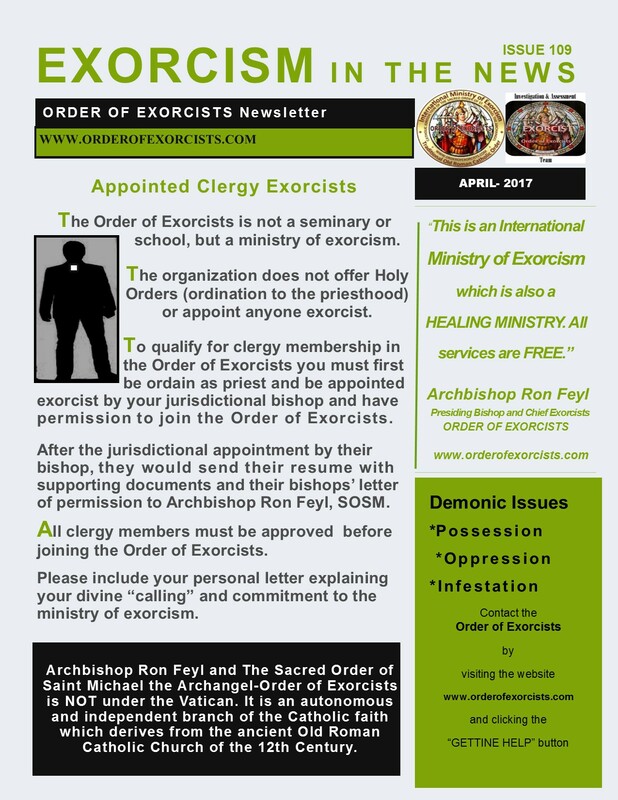 In our organization only appointed exorcist clergy members are authorized to do rituals. Our organization is “Traditional” Old Roman Catholic where our clergy members are from many Catholic jurisdictions. Our Independent Catholic jurisdiction is under the name The Sacred Order of Saint Michael the Archangel – Order of Exorcists.